“Don’t believe the hype”, said the popular hip hop combo Public Enemy in 1988, and quite right they were too. I think Chuck D was inspired by the work of Noam Chomsky when he took out his quill and parchment, but he might just as well have been writing about restaurants. 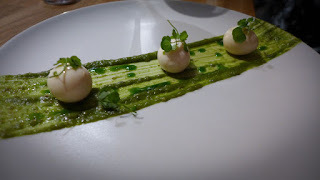 Despite more years of eating out than I’d admit to, I still get sufficiently excited about visiting a hyped up restaurant to all too easily forget Mr D’s dictum, often leading to post-nosh disappointment. 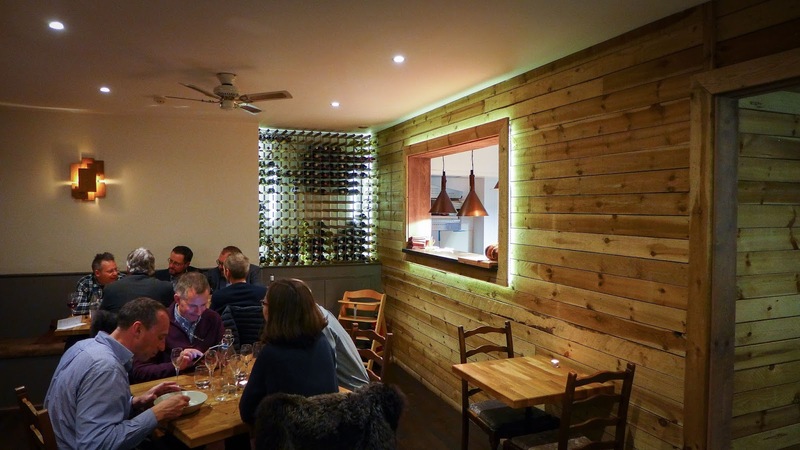 This was very much the case as, just a couple of hours out of Newcastle, we wound our way down through the almost cloyingly pretty scenery of Troutbeck, Ullswater and then over The Kirkstone Pass, en route to dinner at Lake Road Kitchen. This dinky little 9-tabler has been the subject of much breathless veneration since it opened in 2014, garnering big love in the blogosphere as well as an almost unheard of 10/10 from The Guardian’s guru Marina O’Loughlin. Chef James Cross has managed to pack stints at some of this planet's very finest restaurants into his 34 years, including a lengthy stay at the world’s current number one, Noma in Copenhagen. 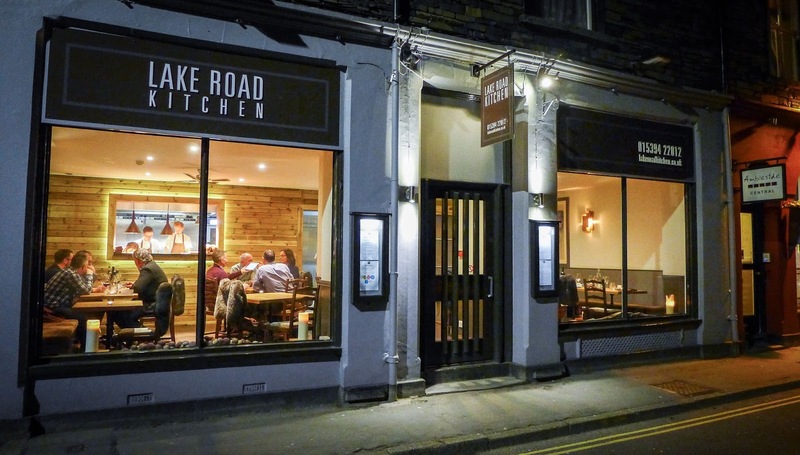 The foraging, fermenting, ageing and pickling that have become the hallmark of René Redzepi’s “New Nordic Cuisine” are very much in evidence at Lake Road Kitchen, whose website exhorts the reader to “come and taste the food of the North”. I thought I would show my solidarity with the recently-flooded Lake District by doing just that, booked weeks ahead to try their tasting menu, then, like a kid before Christmas, started counting down the days. All of this preamble gives you some sort of context to a much-anticipated meal that, although certainly enjoyable, left me very much not blown away, and even a bit nonplussed. Some of this may simply have been a matter of preference, but I would maintain that some was down to execution too. 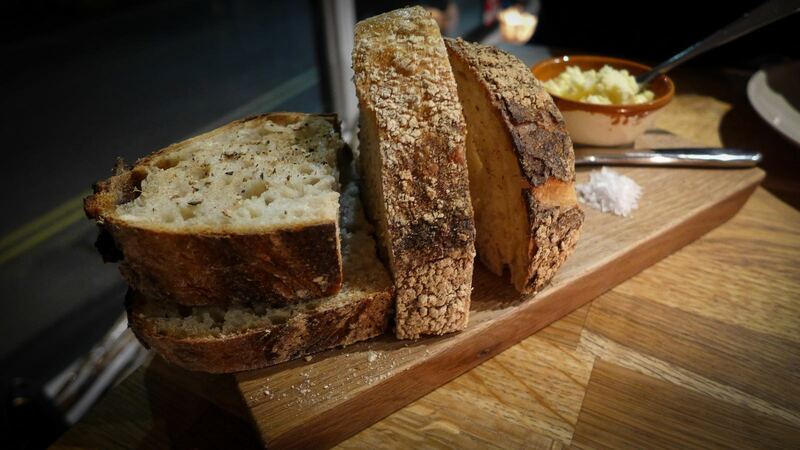 To start with the very enjoyable: the bread is superb, a home-baked not-too-sourdough of hefty crust and crumpety crumb. But with it they serve “virgin butter”, a home-churned dairy product in which some of the whey remains, giving the stuff a granular texture. All very interesting, but I just didn’t much like it. Neither did Mrs Diner. “This tastes half finished. What’s wrong with proper salty butter?” she asked nobody in particular. Nobody in particular had no reply. Other dairy products met with similarly shrugworthy reactions. 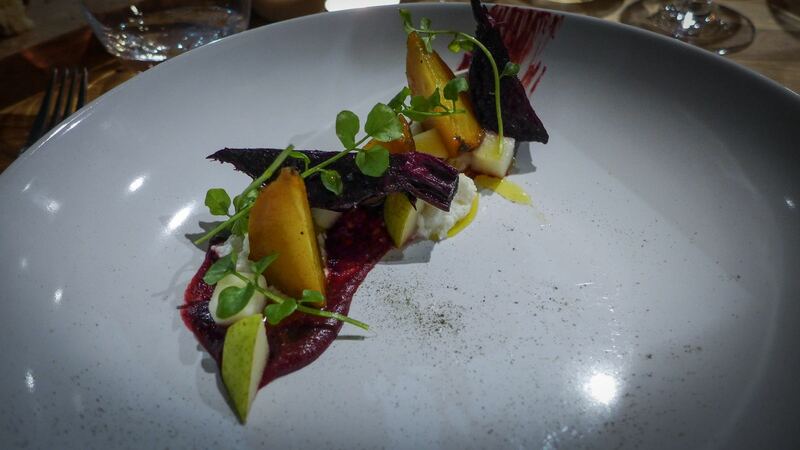 Both the goat’s curd on a dish of beetroots and the viili - a yoghurty fermented milk - that came with a whole roasted cauliflower were inconsequentially mild. 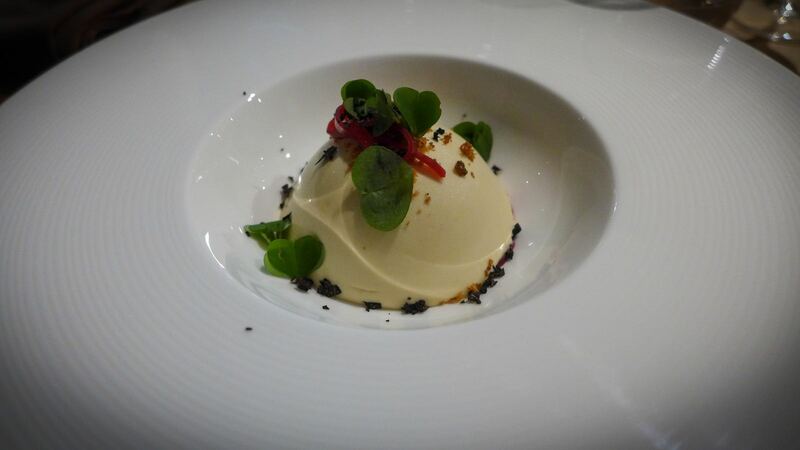 From the point of view of conception and execution I felt that some dishes lacked contrast. That cauliflower was cooked to be almost spoonably soft. Fine, except that the lack of any crunch or crisp on the plate made for an experience akin to - admittedly very tasty - baby food. In similar vein, there was far too little brioche crumb on a dessert for it to have any impact, and that beetroot dish would have benefitted from some toasted seeds. All of this is not to deny that there were things to enjoy and an awful lot of technique to admire. 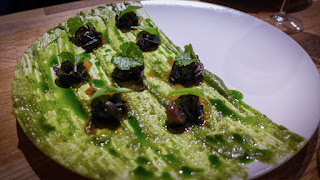 An eat-with-your-hands plateful of snails was earthily delicious, firm but yielding, and I loved the umami wallop of their home-fermented miso. 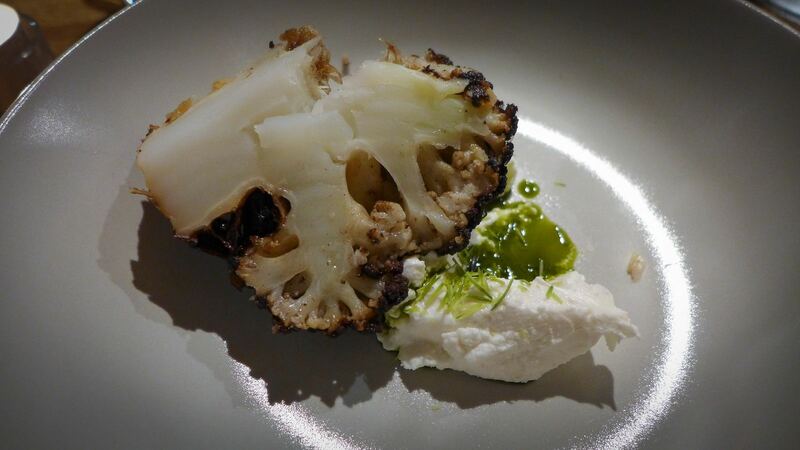 The cauliflower dish, presented whole at the table was a beautifully caramelised spectacle, brassica as theatre, and the sweet mown lawn flavour of some powdered woodruff that accompanied the roasted beets was a minor revelation. 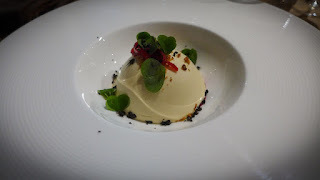 Both the main course of truffle-strewn suckling pig, and the dessert of hay parfait were enjoyable but lacked zing and pizazz. I felt like I had to carefully go in search of flavour, whereas I rather prefer it to leap out at me and slap me round the chops. Wines were excellent, and well matched. The Albourne Estate Bacchus from Sussex was a flinty, hedgerow-packed reminder that England doesn’t just make high class sparklers these days, whilst a fine Pineau des Charentes had just the right texture to accompany the hay parfait. Both of the waiting staff we spoke to knew the menu and the wines inside out, while being completely charming and full of wit. 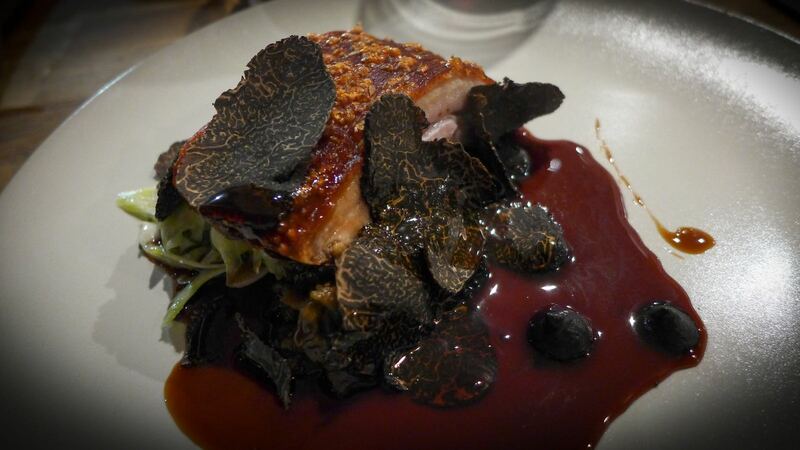 We paid £55 for a five-course tasting menu (there’s also an £85 8-course version) and, if memory serves, it cost a further £30 for the matched wines. 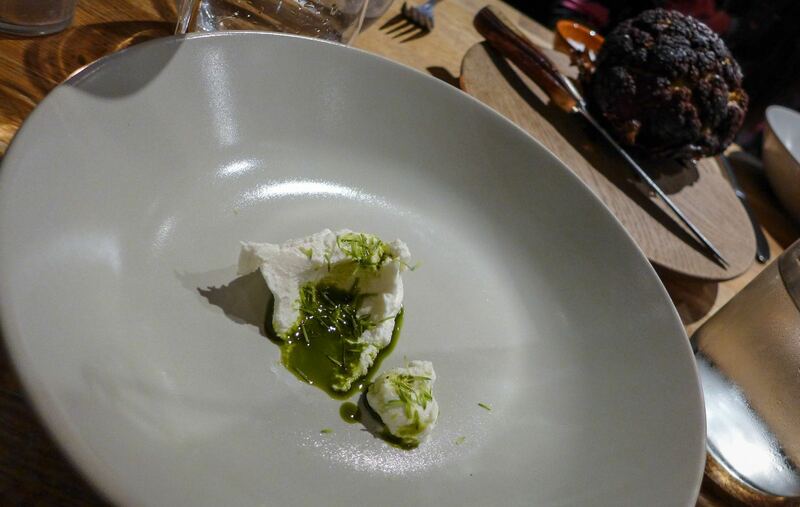 An assessment of whether this represents value comes down to whether the memory of any of the dishes will endure. 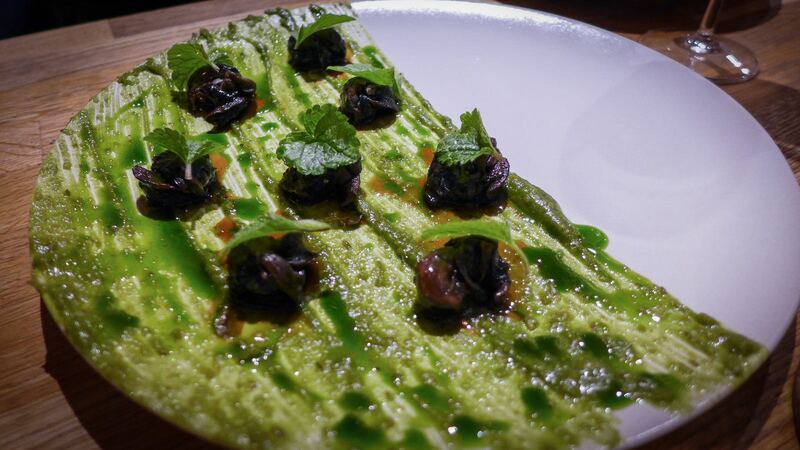 With the exception of the snails, and perhaps the cauliflower, I would have to reluctantly answer in the negative. 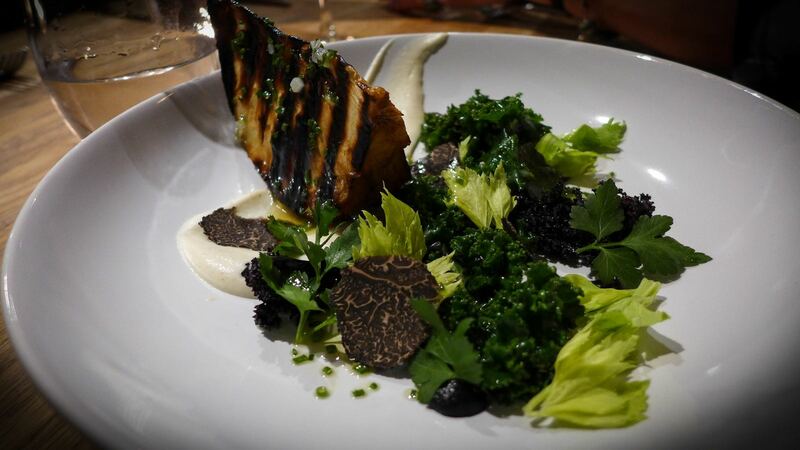 On the long drive back to Newcastle I wondered whether we had caught them on a slightly off night, or whether our mostly vegetarian menu - one of our number didn’t eat meat - meant we had missed out on some of the kitchen’s finer moments. I also wondered whether this whole zeitgeisty business of foraging and fermenting just isn’t really up my Straβe; it does strike me as tending towards the over-serious and ascetic. So maybe it was just me. 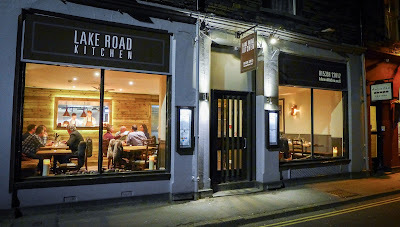 Lake Road Kitchen undoubtedly has talent and enthusiasm to spare and will continue to delight those who claim to know about this sort of thing. I would have dearly liked to add my own 5-star review to the hype. But I wouldn’t want you not believing it, would I?